Precision Maintenance & Fabricating is diversified contractor performing work throughout the State of Alaska. Our expertise is with Pre- Engineered Steel, Structural Steel, Bar Joist, Steel Decking and Insulated Panels. With over twenty years experience, Precision Maintenance and Fabricating, INC has a solid reputation within Alaska communities and companies. With projects ranging from 900 Sq Feet to over 20,000 sq feet, Precision Maintenance and Fabricating is the right team for your job. Precision Maintenance & Fabricating (PM&F) is Alaska's Full package General Contractor. PM&F offers a variety of solutions that can be custom tailored for all of your construction needs. From the moment we first come in contact with our clients, our process is one dedicated and committed to customer satisfaction. With initial consultation, our lead estimator meets with you to assess your building needs. From there, a timely and accurate estimate is produced where a budget can be outlined and agreed upon. The next step is the most crucial - the review of construction plans and customization of product to meet your needs. When the building type is agreed upon, Precision starts the process of manufacturing the steel engineered building. Once the building is on the barge headed our direction, we start mobilization efforts of supplies, material and crew to ensure that we can perform to schedule. The process or erection can be quite fast depending on time of year and size of building. 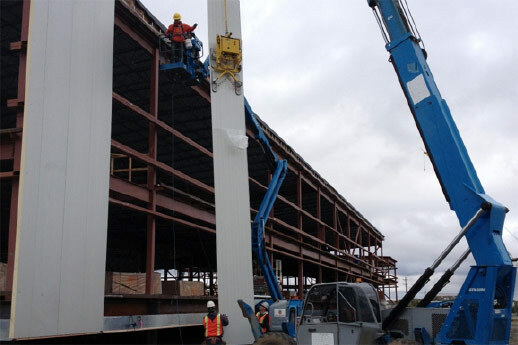 Our team works hard to ensure that our agreed timeline is met and that the customer has a quality steel engineered building that is a source of pride for our Alaska community. The products we offer and brands we carry are the best in our industry. All of our products have been tested over time and have a reputation that precedes itself. Check out our full listing of products and the brands we carry on the Products page. © 2019 Precision Maintenance & Fabricating, Inc. All Rights Reserved.